Nizhny Novgorod to get a renovated railway station. 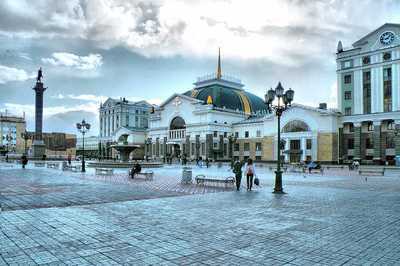 Russian Railways and the governemnt of Nizhny Novgorod have signed an agreement on a project for the reconstruction of the city's main railway station. The project will be realized in two phases with a total cost of 4.8 billion rubles. The first phase will begin this year and calls for the reconstruction of the building within the exisiting boundires of construction. The reconstruction of the current building will improve fire and transport safety, accessability for disabled and physicalled challenged members of the population and introduce energy-saving technologies to engineering netowrks. The waiting rooms, screening areas and crosswalks will also be redesigned. The second phase of the project is to design and complete a transportation hub, which will connect the station with the metro, making transport to the station easier. In addition a multilevel parking deck will be added. 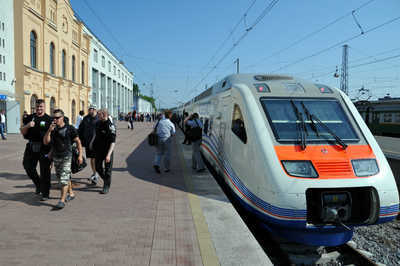 Russian Railways has recently been on a rage trying to modernize various aspects of its operations across the country. Mainly because most of the infrastructure is out of date, but also because Russia will be hosting the Winter Olympics in 2014 in Sochi and the 2018 World Cup. Rosatom is sponsoring a mobile exhibition on technological innovation housed on a train that will travel around Russia. 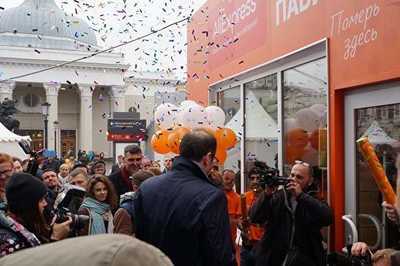 The train recently left Moscow equipped with an exhibition and lecture complex to demonstrate innovative projects.